The young and vibrant music director, Ghibran has earned himself a decent name with his music in films like Run Raja Run and Jil. 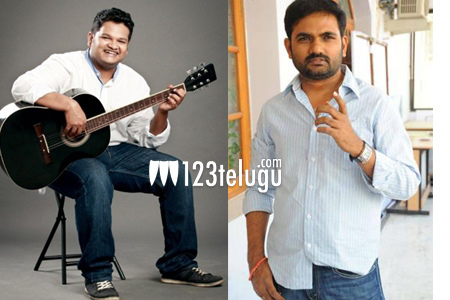 He is now composing for the Venkatesh starrer Babu Bangaram in the direction of Maruthi. Speaking about his association with Maruthi, Ghibran lauded the young director for his knowledge in music and cinema. He even compared Maruthi to Kamal Haasan saying that he is the only director after Kamal, who can actually has knowledge about Raagas and other musical instruments. Ghibran added that all the songs in the film have come out quite nicely and will especially appeal to the masses big time. The shooting of this film is currently on in Hyderabad and Ghibran is quite confident that his career will take a new turn after the release of the film.